Blue Sky Alternative Investments has announced that Andrew Werro will stay on in the role as chief risk officer after having been its interim officer since August. Andrew Werro took over the role as chief risk officer on an interim basis in August last year but has now resumed the position permanently. 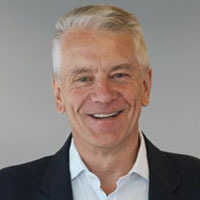 Mr Werro has over twenty-five years of experience across the financial services and media industry. Most recently, Mr Werro completed a wealth remediation assignment for HSBC and helped prep Macquarie Bank for the royal commission. Prior to this, Mr Werro was in a variety of roles for Macquarie, including retail banking chief financial officer, business manager of the retail bank and the head of the wealth advice remediation team. Mr Werro also worked in media as the chief financial officer for Media Corporation Australia which was delisted by the ASX. His appointment follows the announcement of Elizabeth Walker as Blue Sky’s new chief financial officer on Christmas Eve last year.